There is something about saltwater fly fishing (SWF) that inspires passion in anglers. Not only is this pioneering sport fun, you are only limited by your imagination – it is possible to catch nearly every species of fish on the fly. Sam Mossman’s latest book is an essential guide to this exciting and challenging style of fishing. 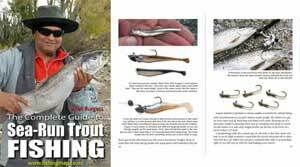 He offers a wealth of hard-won information about targeting different species, including big game fish, fly patterns and fly-tying, where and how to make the presentation, and how to go out and actually catch the fish. Sam has been saltwater fly fishing for over 25 years and has taken a wide range of sea fish on fly, from common species like kahawai and trevally through to hapuku and even marlin. He has held ten New Zealand records and four world records for fly-rod fish, including trevally, albacore, skipjack tuna, blue and make sharks, and striped marlin. 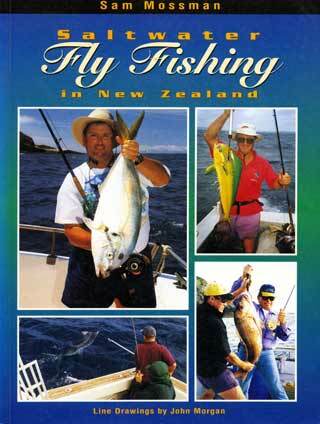 Sam Mossman (pictured top left of the front cover) is one of New Zealand’s best-known anglers and fishing writers and one of the foremost proponents of a sportfishing approach to saltwater angling. He has published hundreds of articles in New Zealand, Australia and the USA, and is the author of three highly successful fishing books, Saltwater Sportfishing, Serious About Sportfishing, and the Kiwi Catch. Sam is currently the Special Projects Editor for New Zealand Fishing News magazine, and also undertakes freelance work in the fishing travel, photography, writing, tackle design and consultancy fields.